La Selva Jungle Lodge is a sumptuous Resort and Spa located in a rainforest paradise in one of the most biodiverse areas of the planet. There are a number of possible excursions and tours with an English-speaking guide, some more physically challenging than others, which cater to all ages and physical abilities. The Daphne counts with first-class service, professional crew members and an experienced naturalist guide, Daphne has become a popular choice for many who desire a first-rate Galapagos experience without sacrificing their savings. Smart Voyager Certified. The Xavier III M/Y is a comfortable air-conditioned 72-foot motor yacht built to accommodate 16 passengers with 8 double occupancy cabins with either a window or a porthole, air conditioning and private bath. Our clean and comfy yacht is a Comfort Class boat, staffed with an exceptional crew, including a certified naturalist guide. 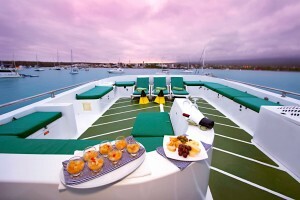 Explore the Galapagos in style aboard the Queen Beatriz Catamaran, a brand new luxury Cruise. Special amenities include a hydro-massage 4-person jacuzzi plus spacious outside decks for relaxing, a large dining area and both indoor and outdoor bar areas. 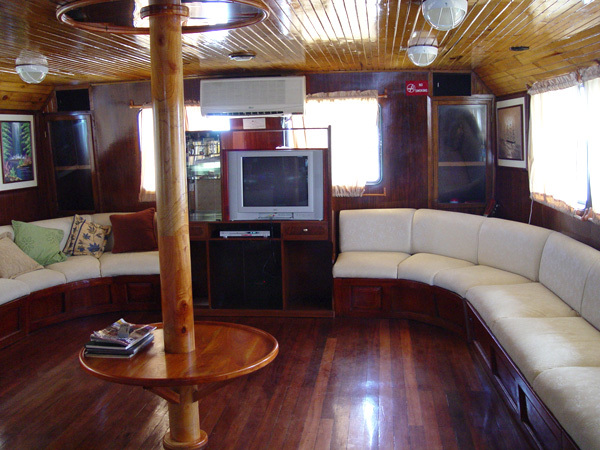 The M/C Galapagos Journey I is a luxury class, power Catamaran boat built in Guayaquil, Ecuador in 2006 taking into account the highest standards of luxury and comfort. She offers comfortable accommodations in 6 twin bed cabins (14 m2 / 151 square feet, each) located in the main deck and 2 suite cabins (18 m2 / 193 square feet. each) located in the upper deck. 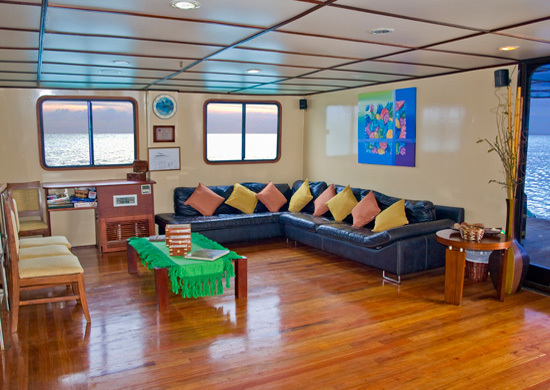 All cabins feature private facilities, locker and closet, air conditioned. Additionally the yacht has ample resting areas, sundeck, library, TV-DVD room, comfortable dinning room, bar and lounge and Jacuzzi. 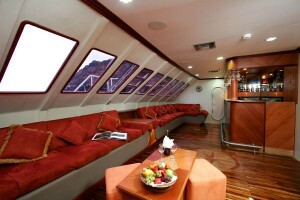 The M/C Galapagos Journey I will visit some of the more remote islands and cruise with more comfort than other boats in its size with great stability and luxurious interiors.